PHUKET: The Department Of Marine And Coastal Resources (DMCR) yesterday (Mar 16) started the ball rolling for prosecuting a tour company whose guide was caught on camera allegedly breaking off pieces off coral and using it to smash a sea urchin while diving with a group of Chinese tourists on Wednesday (Mar 15). 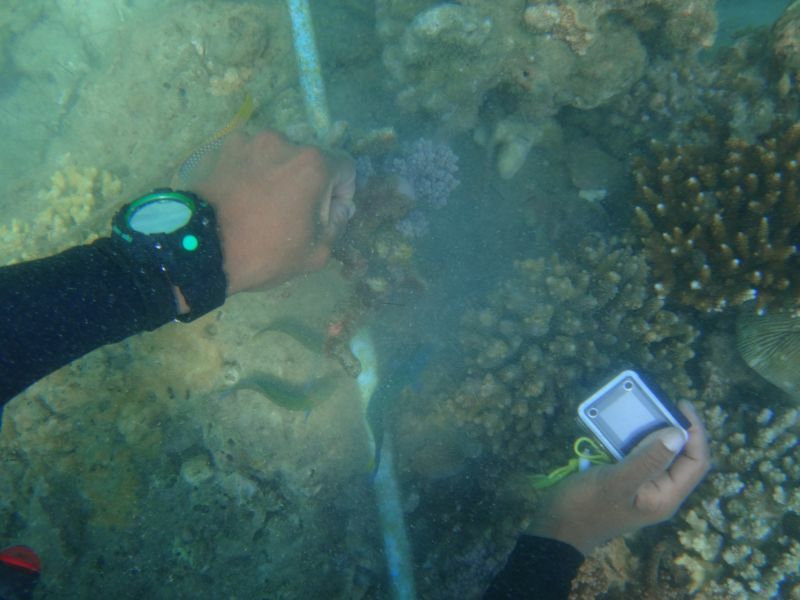 The DMCR were made aware of the incident from a post on the Facebook page of Asst Prof Thon Thamrongnawasawat, a marine biology lecturer at Kasetsart University in Bangkok and a marine conservation adviser to the government. Asst Prof Thon’s Facebook page is currently followed by just under 81,000 users. 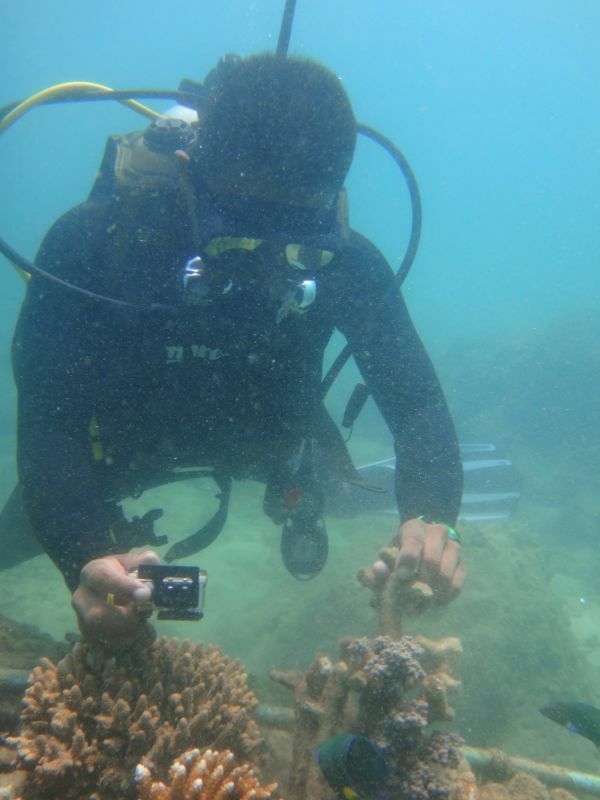 On Wednesday, Asst Prof Thon posted photos which are believed to show a tour guide breaking off a piece of coral from a reef and using it to smash a sea urchin. This was all done while a tour group he was leading took photographs. 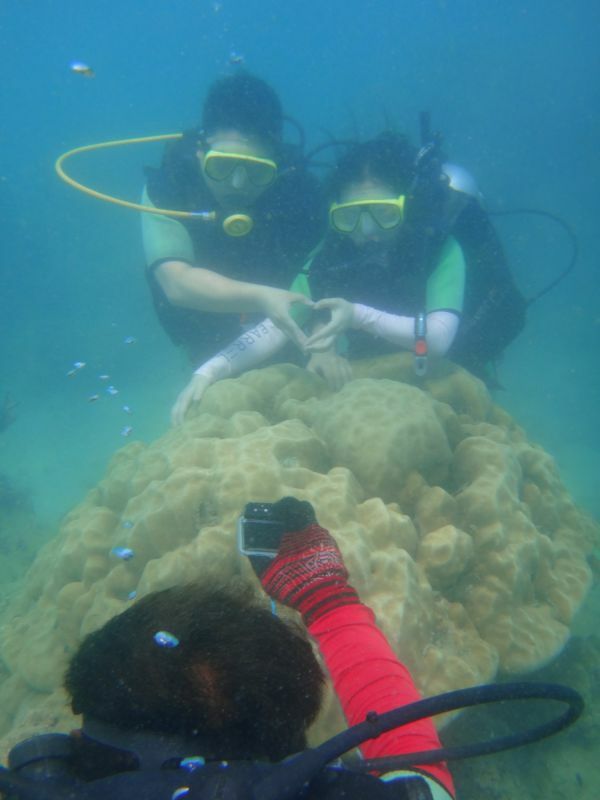 In addition, the photos also revealed that the guide allowed the tourists to rest themselves on the coral and push themselves to the surface of the sea using the coral reef. 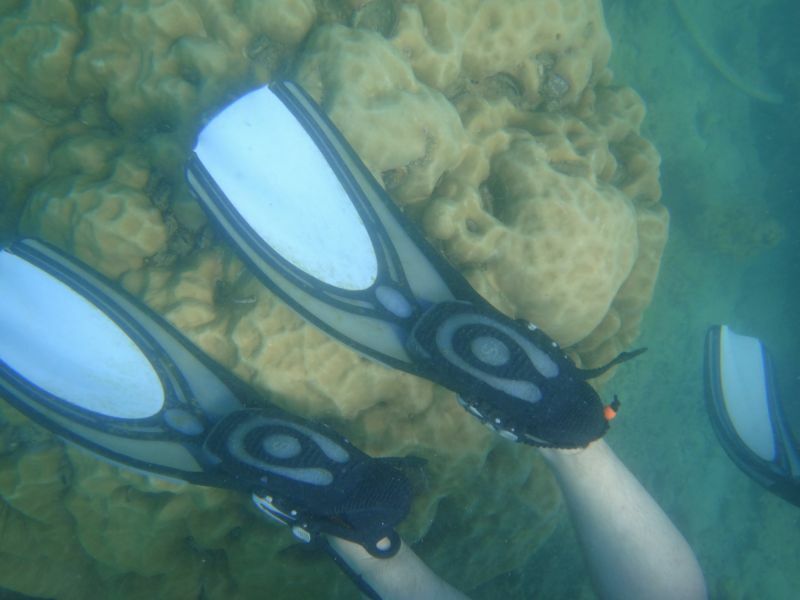 Furthermore, the Scuba BCD (Buoyancy Compensator Devices) the tourists are seen wearing in the photo are believed to be very old and may not work as well as they should. On a notice published on the DMCR website yesterday regarding the incident it states that the tour guide was from the Nonthasak Marine tour company and officials were in the process of going to question him about his actions. Speaking to broadcaster Thai PBS yesterday, DMCR Director-General Ms Suthilak Rawiwan said, “We are fully aware of this incident and can confirm that it is against the Protected Wildlife Act. Our officials have all the required information and evidence we need to prosecute those involved. “The area where this incident occurred, Koh Hae (Coral Island ), has already been badly affected by tourism and it is now getting worse. “In fact, the problems at Koh Hae are now at a critical level,” she said. “The DMCR now has a plan to use the Marine and Coastal Resources Management Promotion Act, B.E. 2558 to control tourism in the area and reduce any further risk of damage to the marine environment,” she added. When questioned about the incident by a The Phuket News reporter today, the manager of Nonthasak Marine, Mr Karn Therdmaefaluang, said, “I was very surprised when I learned about this incident from other media. “However, I would like to say that this diver is freelance and he is still young. He has told me that he is very upset by this incident,” he said. “The truth is that the guide didn’t break the sea urchin at all. He told me that he saw the sea urchin and picked it up but it was already broken. 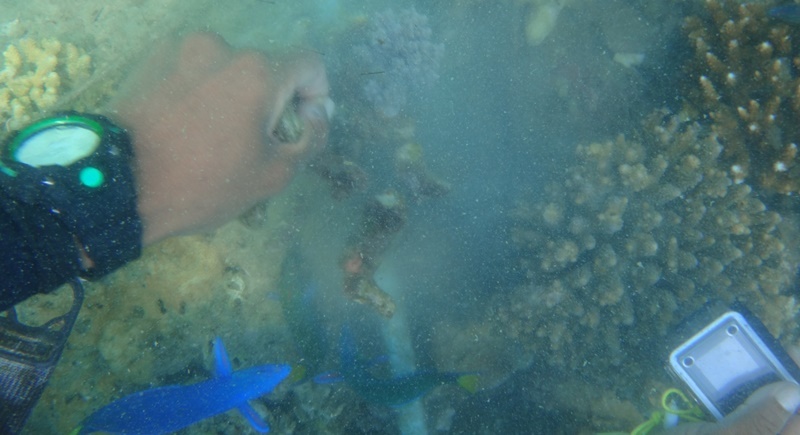 He said that he picked up a small piece of coral to check the urchin and to show the tourists that it is dangerous to touch them. “As he was showing all this to the tourists someone else took photos of him and this has caused a lot of misunderstanding,” he added. “Nonthasak Marine hold a seminar every month to remind our guides about marine conservative because it is important for their jobs. Our guides have no reason to destroy marine animals or the marine environment. Yesterday I told the truth to DMCR officials,” he concluded. Kurt, I agree with what you say. I Was being sarcastic! "It was already broken". He's channeling Bart Simpsons there isn't he "I didn't do it. It was like that when I found it". 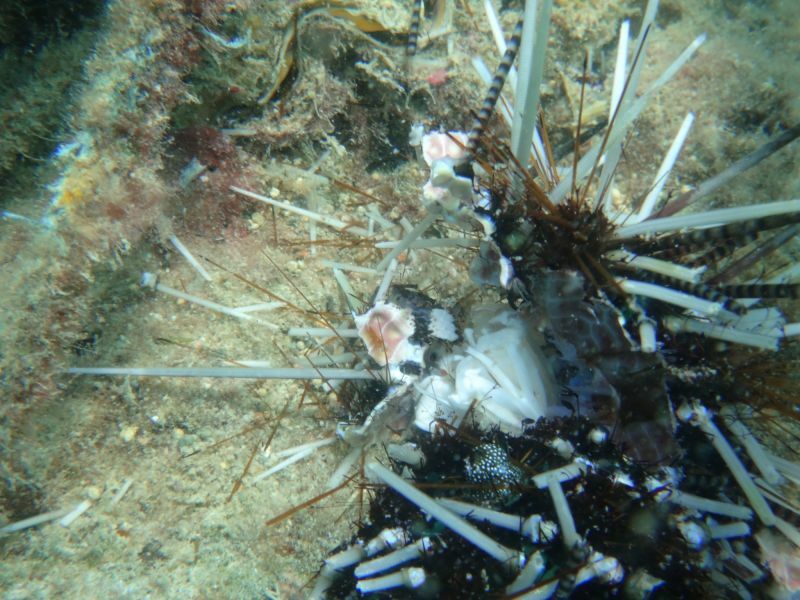 Also he's lying, urchins don't self-destruct and nothing eats them, they're covered in spikes. Also he was filmed doing it. Doh! @ Marcher: There are 2 legs of law enforcement in Thailand, 1 leg for the thai, 1 leg for the foreigner. As a foreigner feeding bread to fish, oh boy, you go some days to a police cell, 100,000 thb bail requested and a full blown Court session! As a thai tour guide, destroying marine life, you get away with.."understanding"..
No nights in jail, court. Oh, he was young, Thai, and this was a misunderstanding!